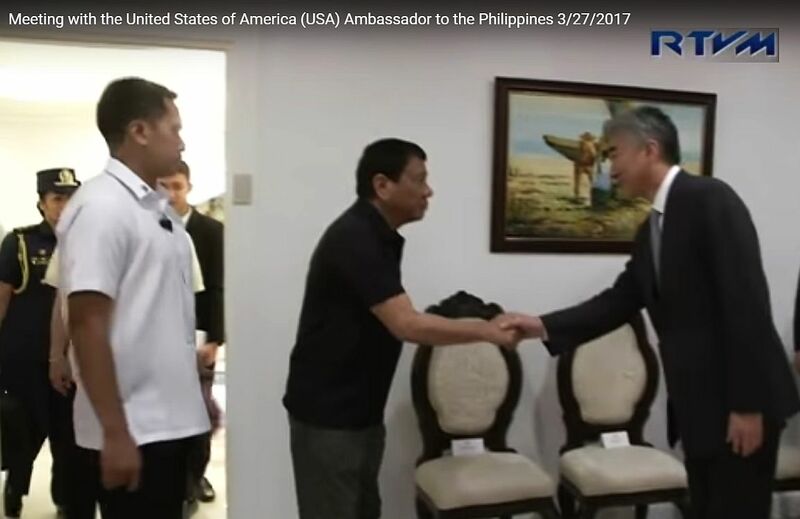 DAVAO, March 28, 2017 — According to the press-release published by the U.S. Embassy in the Philippines, “Ambassador Sung Y. Kim traveled to Davao on March 27. While in Davao, the Ambassador had a friendly, productive meeting with President Duterte. They discussed the extensive ‎bilateral partnership over the years as well as cooperation on counterterrorism, child protection, piracy, and economic development in Mindanao. The Ambassador highlighted U.S.-Philippine partnerships in the region that strengthen the local economy and promote peace and stability. Ambassador Kim also gave remarks at a luncheon meeting of the American Chamber of Commerce Mindanao, conveying the U.S. government’s wholehearted support of the vibrant U.S.-Philippine economic relationship, and emphasizing the Embassy’s commitment to development in Mindanao. Honoring Women’s History Month, Ambassador Kim highlighted the Embassy’s U.S. Agency for International Development funding of a project training women to weave nets that stop erosion and landslides along the roadways in Ramon Magsaysay, Zamboanga del Sur. Overall, the U.S. government has pledged more than Php3.5 billion for dozens of projects in Mindanao over the next few years, including the Roll-on, Roll-off, or RO-RO, nautical highway. On April 30, the route will connect the cities of Davao and General Santos to Bitung in the Sulawesi Island of Indonesia. This accomplishment will help U.S. and Philippine businesses operating in Mindanao increase their exports at great savings. 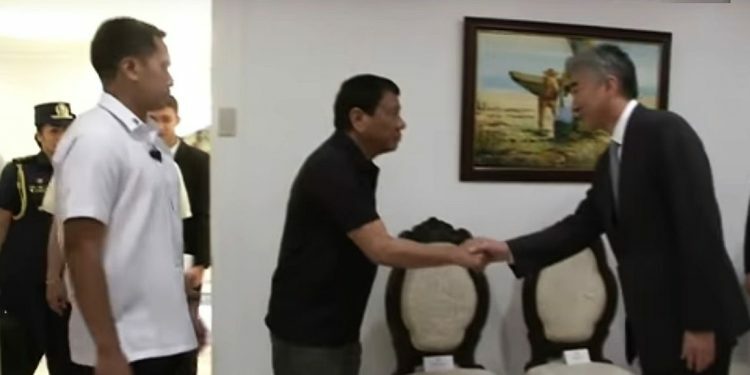 According to the report of the Presidential Broadcast Staff Radio Television Malacañang, President Rodrigo Roa Duterte received the Ambassador Sung Kim at the Presidential Guest House in Panacan, Davao City. The American envoy was accompanied by Political Counselor Eric Kneedler and Economic Counselor David Schnier. President Duterte was joined by Foreign Affairs (DFA) Acting Secretary Enrique Manalo, Interior and Local Government (DILG) Secretary Ismael Sueno, and National Defense (DND) Secretary Delfin Lorenzana. Tags:Ambassador Sung Kim,American Chamber of Commerce Mindanao,Mindanao,President Duterte,U.S.